3.investments in technologically advanced products. These are the advantages that have made UFI FILTERS a leader in Original Equipment, chosen by 6 out of 7 of the leading manufacturers in the world. New filtering media in synthetic fibres. Weight reduction thanks to new materials and multifunctional integration within the modules. Resilience at high working pressures. New ‘green’ modules that limit environmental impact. UFI filters ensure more than 95% efficiency of the separation of water from fuel according to ISO 16332, thanks to media filtering DFM UFI Filters (Deep Filtration Media). This is the exclusive recipe developed in the UFI Filters Innovation Centres, containing polyamide in the form of fibres that, thanks to a filtration system for coalescence, defined as «volumetric», ensures maximum protection of diesel injectors from water residues, sludge and particles between 50-80 microns up to 4 microns in size – less than those of a hair – which escape during the refinery processes. Maximum motor protection and filtering efficiency even in the presence of new bio-fuels, thanks to UFI filters. The new fuels linking with the water favour the proliferation of sludge and the obstruction of traditional filtration systems, the DFM UFI filter media, on the other hand, has been designed to prevent premature clogging of the cartridge. Modules integrated in the airbox. Filter media in synthetic fibres with the aid of pre-filters. Filtration capacity greater than 98.5%. The following are some of the features of the UFI air filters. 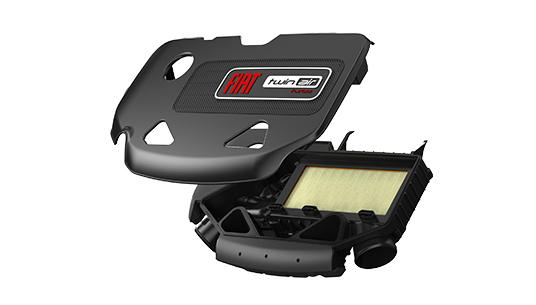 The air filter is a fundamental element for the life of the car, as it purifies the air that reaches the combustion chamber, improving engine carburisation and reducing vehicle consumption. In the absence of this part, the engine would be exposed to the threat of impure particles (dust, sand …) that would lead to its early deterioration, clogging valves and injectors and causing sudden breakdown. Furthermore, the flow of air directed to the engine would be greater than is required by the fuel demand, leading to excessive fuel consumption. 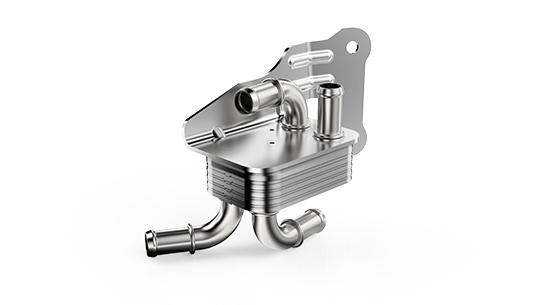 Thanks to a high filtering efficiency, the UFI filters prevent the alteration of the flow of fuel in the carburettor and the consequent loss of power, increase in consumption and emissions into the atmosphere. The main purpose of the cabin filters is protection against pollution (dust, carbon particles, combustion gases, bacteria, pollen) that we breathe daily inside our vehicle without realising. The cabin air filter range of UFI Filters ensures high efficiency and high umidity resistance, for the well-being, health and safety of the driver and passengers in the car. Accumulation of dust resulting in allergies, throat discomfort, sneezing. Fatigue and poor concentration after prolonged driving. Poor visibility due to condensation that builds up on the windscreen and windows. Nowadays, pollen filters trap an average of over 90% of particles with a diameter of more than 2.5 microns (pollen). The carbon combination, on the other hand, prevents even the smallest particles from 0.01 to 2 microns (gases, bacteria, fungi and odours) from entering the interior of the car, thus guaranteeing protection against unpleasant odours, achieving cleaner air and avoiding the dangerous “tunnel effect” inside the vehicle. Heavy vehicle manufacturers must ensure the highest levels of efficiency and safety, particularly for heavy duty vehicles, which travel long distances every day. This is why it is important to be able to rely on top-level suppliers such as UFI Filters, with its complete range. We supply our OE products to manufacturers who represent 48% of the world’s production of trucks and industrial vehicles. 3.the aluminium body filters have new alloys designed to ensure maximum resistance to high pressures. 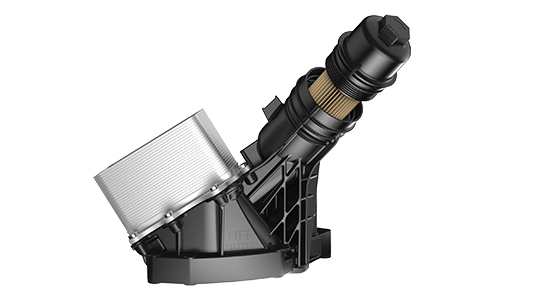 modern truck fuel systems are equipped with pre-filter systems. 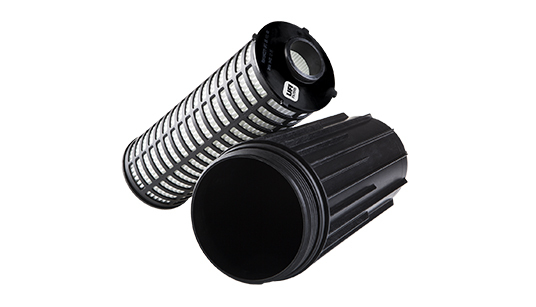 UFI filters ensure 98% efficiency of the pre-filtration and separation of water, such as the patented two-stage concentric system WATER ELIMINATOR that is generally mounted together with DEFENDER®, the UFI patented filter that uses technologies derived from the aeronautical sector and guarantees mileage ranges up to one hundred thousand kilometres. 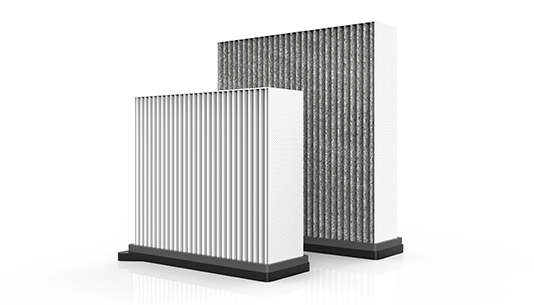 UFI Filters develops advanced air filtration systems for the Original Equipment Manufacturers Market. The objective is the optimisation of size and reduction of noise – goals that we can achieve thanks to fluid dynamic studies – tests carried out in our research laboratories that recreate the real conditions of use of the filter itself and the engineering collaboration with our customers. – minimum risk of flammability – flame retardant – to ensure greater safety. 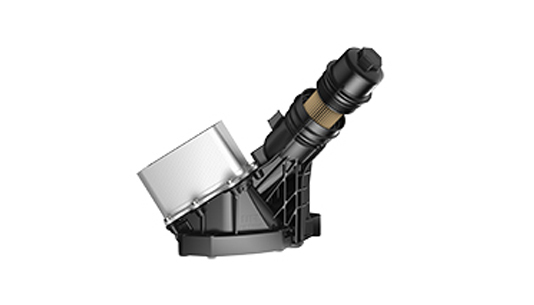 The Blow-By-Filters have the function of filtering and recovering the vapours from the oil generated by the engine in the combustion chamber. They play a fundamental role as the gases are recovered rather than discharging contaminants such as CO, NOx and PM into the atmosphere. 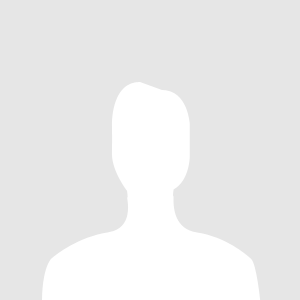 1.Static panel: these filter gases according to a coalescence principle. 2.Rotating and self-cleaning: these have very compact dimensions, low pressure drop and high filtration efficiency. 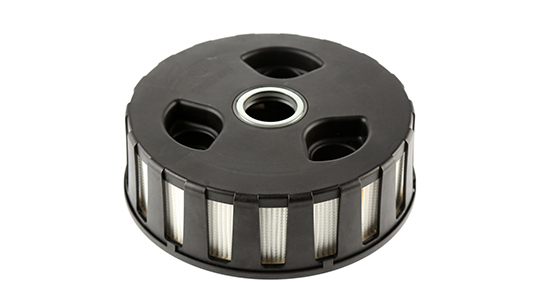 They are mounted directly on the hollow camshaft or on a high pressure pump shaft. The filter media is made of synthetic material coupled with glass fibre in order to be able to withstand the high levels of saturated acidity of the oil vapours. 3) constant efficiency for the whole life of the filter. The UFI Filters Group has been present in the world of heat exchangers for the OEM automotive sector since 2010. In particular, investment in research and innovation has led to specialisation in the design, development and production of water-cooled and vacuum-brazed aluminium heat exchangers which allow a more robust, efficient and clean product to be achieved. Modern UFI Filters heat exchangers have a fundamental function in the oil cooling circuit to maintain temperatures within the established range in order to reduce consumption, limit emissions and increase engine or transmission life. To date we are global suppliers of solutions for the complete management of the lubrication system. 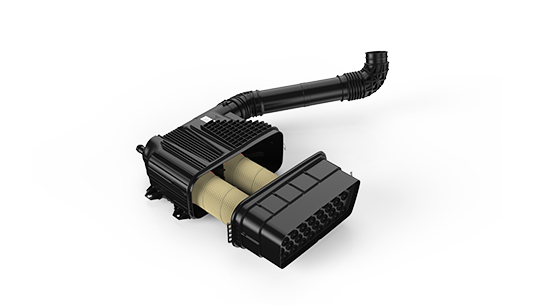 This new generation of UFI Filters heat exchangers has multiple applications for hybrid and electric vehicles. For example, they can heat the water used to keep the temperature of the electric batteries under control in a cold start situation, or cool it during normal use, avoiding overheating. UFI Filters is at the forefront in providing solutions to meet the demands of new technologies which are alternative to the traditional combustion engine. 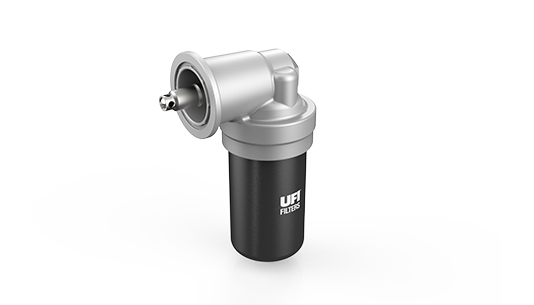 The UFI Filters exchangers mounted directly on the engine, are made on the basis of the specific thermal requirements of each individual engine. They are adjustable in height to be able to respond to the many thermal management requests coming from the different displacements in which a family of motors is currently being developed. 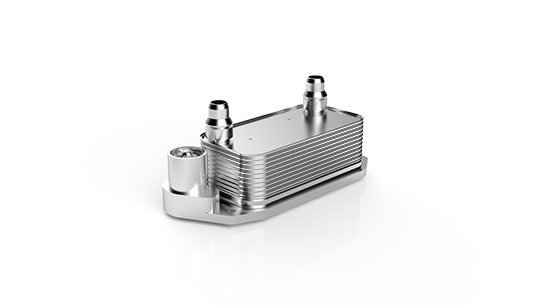 UFI Filters exchangers provide superior cooling properties, to effectively reduce the heat load and ensure better performance and longer engine life. 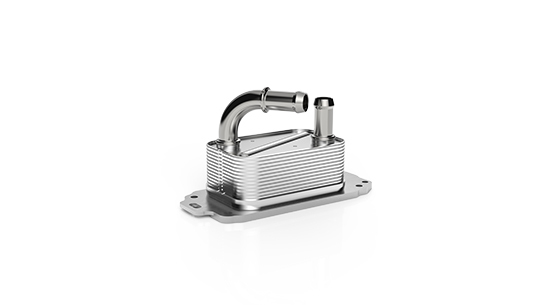 This type of exchanger is integrated into the oil module together with the filter and, optionally, to the thermostatic valve and the electronic sensor. 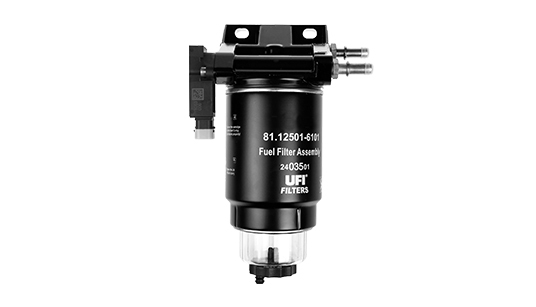 UFI Filters is chosen as a partner by the world’s leading automobile manufacturers as a supplier of complete solutions for lubrication and filtration systems. 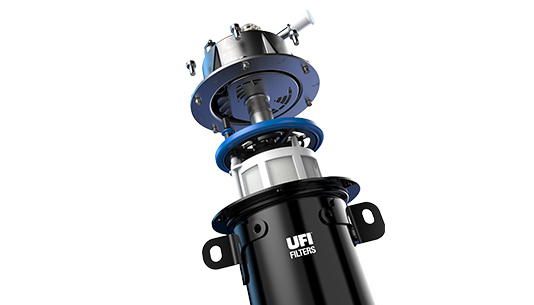 These UFI Filters heat exchangers are mounted inside modern automatic gearboxes (transmissions) with the function of keeping the oil temperature within the desired values. They can be equipped with a thermostatic valve to heat the oil in the starting phase and cool it during use; this guarantees a longer duration of the transmission system, reducing the consumption and emissions of the vehicle.